We are here since 2002 and we are the largest hostel in Brazil, we offer 45 shared suites that are the face of hostels and private suites, as well as shared kitchen equipped with stoves, 2 refrigerators, freezer, 2 microwaves, sink, tables, chairs, Crockery, cutlery, pots. The property has a bar and snack bar on site. It has a games room, laundry facilities and a 24-hour front desk. The hostel features free Wi-Fi. We offer a delicious and complete continental breakfast, included in the daily, which has been highly praised by our guests, and a suggestive barbecue on the roof top at the disposal of our guests. 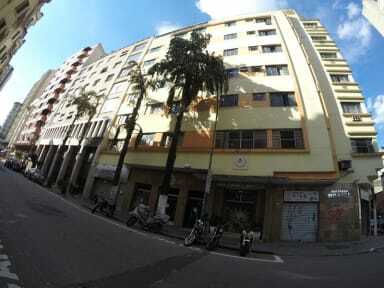 São Paulo Hostel Downtown is located a 5-minute walk from Republica metro station. The hostel is located at downtown area, close to malls, night clubs, two subway stations, many stores, touristic places, Paulista Avenue, museums and much more places you can visit only walking. It is a 10-minute walk from José Paulino Street, which has countless shops. It is 27 km from Guarulhos International Airport and 25 km from Corinthians Arena. 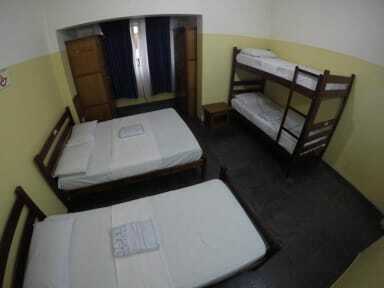 All rooms at São Paulo Hostel include a fan and private or shared bathroom. Some also have a TV and minibar. They are simply decorated and include bed linen and towels.